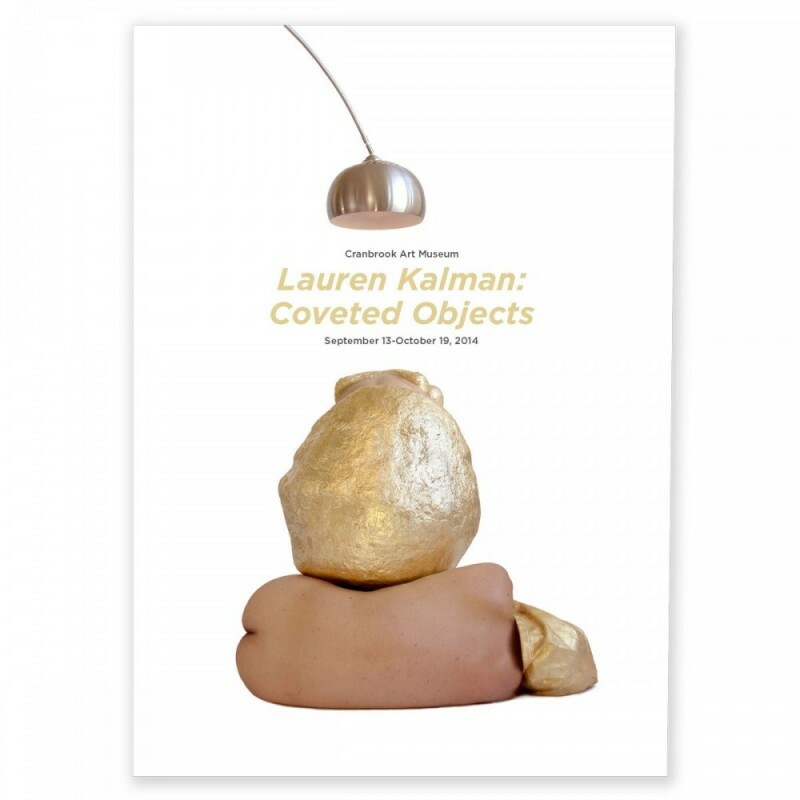 Coveted Objects, the first solo exhibition in Michigan by the Detroit-based artist and metalsmith Lauren Kalman, explores issues of taste and desire that inform our sensibilities towards the body and design objects. 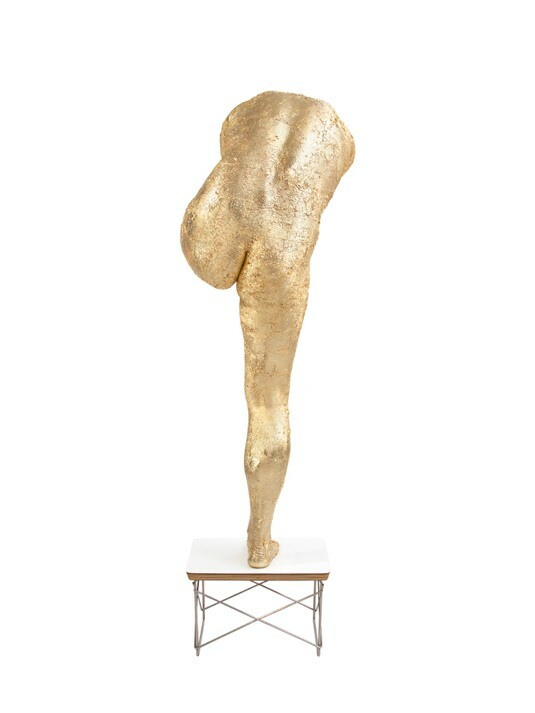 The exhibition consists of a selection of photographs and props used in staged vignettes featuring painted-gold bodies that contort, shape, and interact with Modernist furniture. In most of the images, Kalman undertakes these physical feats herself, drawing attention to the objectification of the female body and its relationship to the patriarchal lineage of Modernism. By positioning both the figures and objects within this context, the artist questions our constructs of beauty and the ideologies that underlie our contemporary built environment. The works in Coveted Objects are from Kalman’s most recent series titled If The Crime is Beautiful…. The project is derived from the Viennese architect Adolf Loos’s infamous lecture Ornament and Crime from 1910, in which he proposed that ornamentation is an indication of a primitive and regressive society. His philosophy advocating the simplification of form and absence of decoration influenced the Modernist movements in art, design, and architecture—an aesthetic Kalman approaches with both critique and admiration. Lauren Kalman received her MFA in Art and Technology from Ohio State University and a BFA with a focus in Metals from the Massachusetts College of Art. She is currently an Assistant Professor in the Department of Art and Art History at Wayne State University in Detroit, Michigan. The exhibition is part of an ongoing series curated by Laura Mott, Curator of Contemporary Art and Design, which presents the work of vibrant emerging and mid-career contemporary artists with a special focus on Detroit-based artists and graduates from Cranbrook Academy of Art.